Do you skip trims? Avoiding your stylist to get that ever so long “Kardashian” look for the summer is actually sabotaging your plan. When you don’t trim your hair, the ends will split and eventually break off… Leaving your hair to only get shorter, not longer. Solution: Book a trim with your stylist every 3-4 months to keep those split ends to a minimum and use a split ends serum like Artego Feel & Shine. 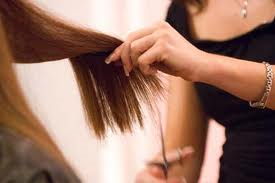 Contact one of MC College’s seven campuses to book your next hair trim!